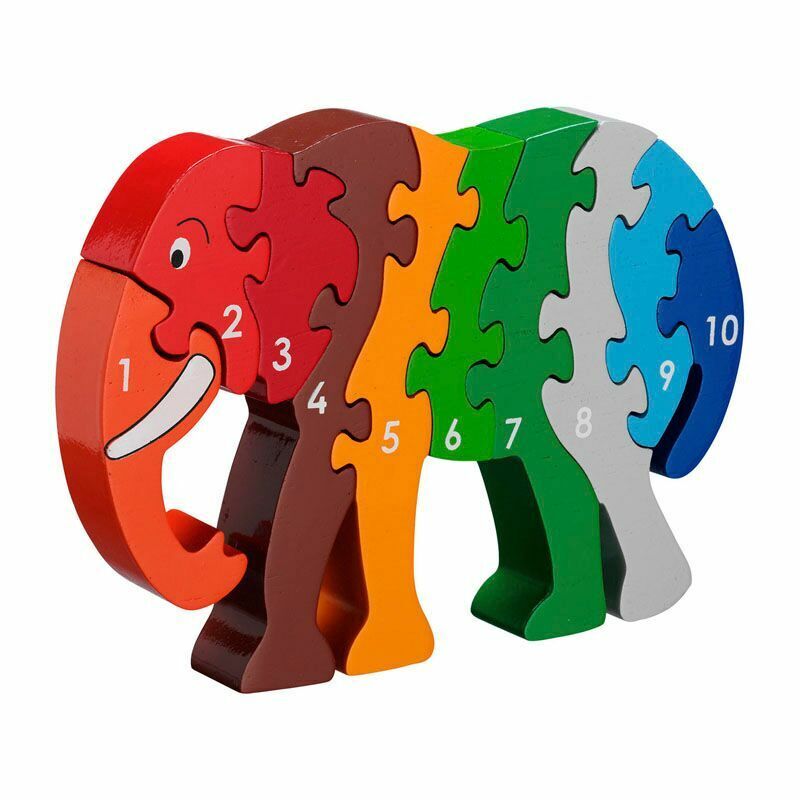 Lanka Kade 10 piece wooden elephant jigsaw. A fair trade toy handcrafted from natural, sustainable rubber wood. This handcrafted wooden elephant jigsaw is ideal for children that are learning to count. Children will learn the number sequence as they slot each interlocking piece of the puzzle together to form an elephant. A fair trade toy handcrafted from sustainable rubber wood.